Starting Oct. 3, a new pilot program will give local judges the power to offer community service - rather than issue stiff fines and fines - to thousands of poor defendants. 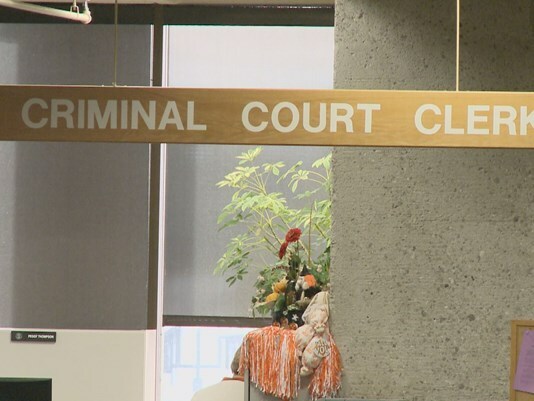 On Monday, Knox County Criminal Court Clerk Mike Hammond joined with three local partners to unveil details regarding the program, described essentially as "hours per pay." It gives those unable to make any payments the option to repay their debts to society by performing community service. The state legislature approved the plan, which is unique to Knox County, earlier this year. It is set to sunset July 1, 2018. At that point, lawmakers will decide if it was successful and whether to implement it statewide. The legislation allowed Hammond the opportunity to implement a community service program for those defendants who are truly unable to pay their court costs, yet able to do work. The amount of community service a person would need to work depends on how much they owe. A program chart showed a gradual scale ranging from 8 hours for those facing up to $100 in fines and court costs to 88 hours of required service for those facing $3,000 - $4,000 in costs. The approved partners include Knox County Engineering and Public Works, Knox Area Rescue Ministries, and Lending Angels. The program recognizes that many of the offenders unable to pay also receive services from KARM. So a partnership with KARM could benefit the community and offender. Lending Angels will be looking for individuals with skills and experience to help with home repairs and improvements for those with disabilities or older adults. But not every defendant can take part. Hammond said there will be background checks on potential participants and those convicted of violent crimes, sexual offenses, and animal abuse won't be eligible. Additional info and forms for those who are interested will be posted Oct. 3 on the Knox County Criminal Court's website.